With a sweet, subtle taste reminiscent of artichoke and an appearance resembling white asparagus, hearts of palm are a delicacy that offers substantial nutritional benefits. 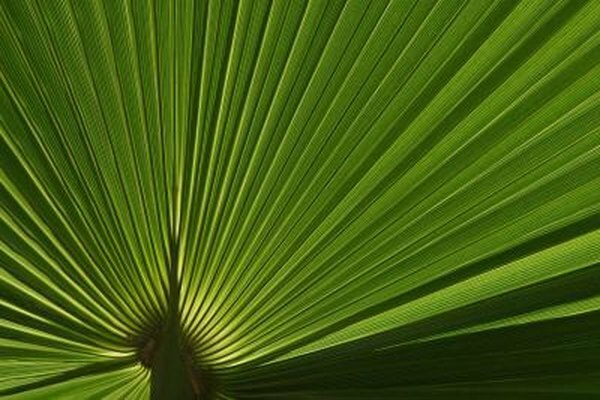 Derived from the stem of the sabal palmetto tree, hearts of palm were once dubbed "swamp cabbage" and shunned by the wealthy. Today, Food.com notes that they are cultivated as a gourmet item in Costa Rico, Hawaii and Florida and referred to as "millionaire's salad." Hearts of palm, which offer healthy amounts of fiber and plentiful servings of beneficial vitamins and minerals, are a healthy dietary choice. A 1-cup serving of fresh hearts of palm contains 4 grams of protein, 0.3 grams of total fat, 37 grams of carbohydrates, 2.2 grams of dietary fiber and 25 grams of natural sugars. Palm hearts are low in salt, low in sugar, high in dietary fiber and cholesterol-free. At a reasonable 168 calories per cup, fresh hearts of palm are a good snack for people trying to maintain healthy weight. With high levels of both soluble and insoluble fiber, hearts of palm can promote efficient elimination while create a feeling of fullness that may help you avoid overeating. One cup of fresh hearts of palm contains 26 milligrams of bone-strengthening calcium and 204 milligrams of phosphorus, which assists calcium in strengthening and maintaining the skeleton. The serving also contains a massive 2,637 milligrams of potassium, equal to the amount offered by six bananas. Potassium, an essential mineral and electrolyte, is vital for regulating blood pressure and heart rate. The same cup of hearts of palm contains 5.45 milligrams of zinc, more than 50 percent of the 8 milligrams recommended daily for women. Zinc, an antioxidant trace mineral, is essential for wound healing and in proper insulin and thyroid function. A cup of hearts of palm also supplies healthy amounts of the trace minerals copper, manganese and selenium. A 1-cup portion of fresh hearts of palm provides 12 milligrams of antioxidant vitamin C, almost 10 percent of the daily value. Hearts of palm are also a good source of niacin, or vitamin B-3, offering up 1.3 milligrams per cup. Niacin promotes digestive health and helps to lower cholesterol. A cup of palm hearts also provides 1.2 milligrams of pyridoxine, or vitamin B-6, essential for the breakdown of proteins and the health of red blood cells. Finally, fresh hearts of palm provide modest amounts of the antioxidant vitamins A and E.
Look for moist, intact, unblemished fresh hearts of palm with a firm consistency. Avoid stalks that are discolored or overly floppy. If fresh palm hearts aren't available, purchase them in glass jars rather than in cans to avoid a metallic taste. Store palm hearts in the refrigerator in plastic bags, and use them promptly to avoid deterioration. Hearts of palm can be served raw or steamed; if the outer husks are still intact, they must first be peeled. You can serve fresh hearts of palm in a fresh vegetable tray with a dip on the side, slice them and toss into salads and salsas, or fill their hollow cavities with cheese, meats or herbs.